This is a book that the Watergate 5 should have read - a detailed study of very controversial subject matter. 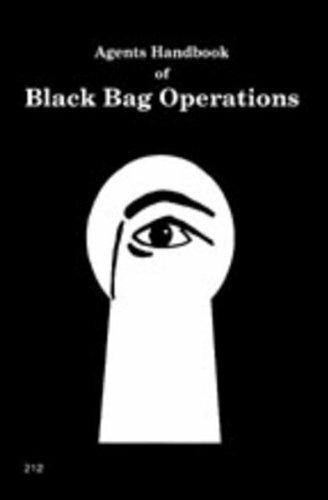 All intelligence operations, whether government, commercial or private, utilize Black Bag techniques at one time or another. The author of this book has gleaned much information from agents who have been there and done that. 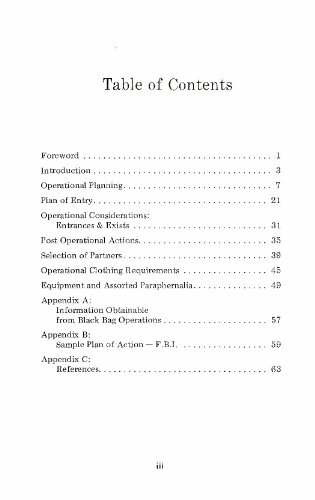 Included are chapters on operational planning, plan of entry, operational considerations, entrances and exits, operational clothing requirements, equipment and information obtainable from actual F.B.I. 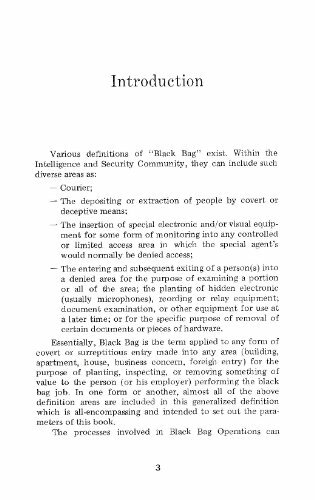 memorandums detailing a real Black Bag job. This books author wishes to remain Anonymous. 5.5 x 8.5 , 64 page, softcover.